A few months ago I caught up with the new millennium and bought a Macbook Pro. I love it; it’s so much lighter and faster than my previous Macbook. That dinosaur was so old that I couldn’t update it anymore and it was so heavy that I only used it at home. With my shiny new Macbook Pro I was ready to join the hipster coffeeshop writers, except for one problem: I didn’t own a laptop bag. So I searched. And searched. 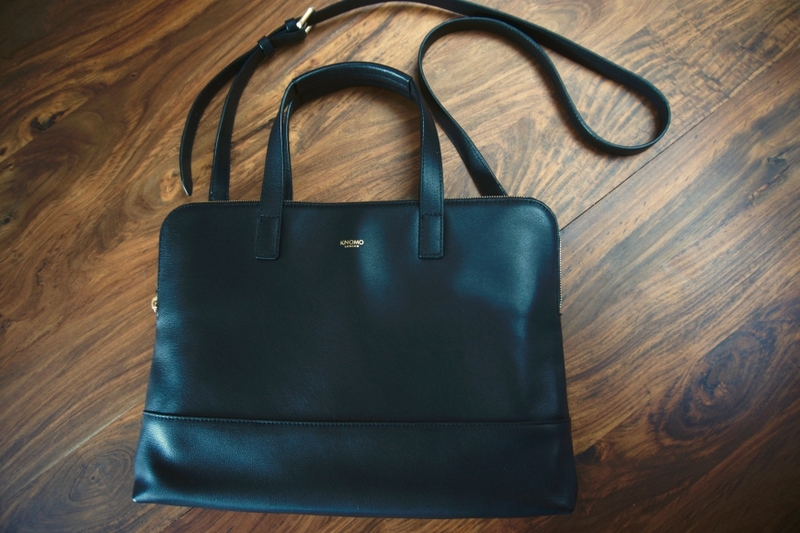 While I found plenty of bags, I couldn’t find a stylish laptop bag and yeah style was just as important as function. While I continued the search I carried my laptop in a tote. Not ideal at all. 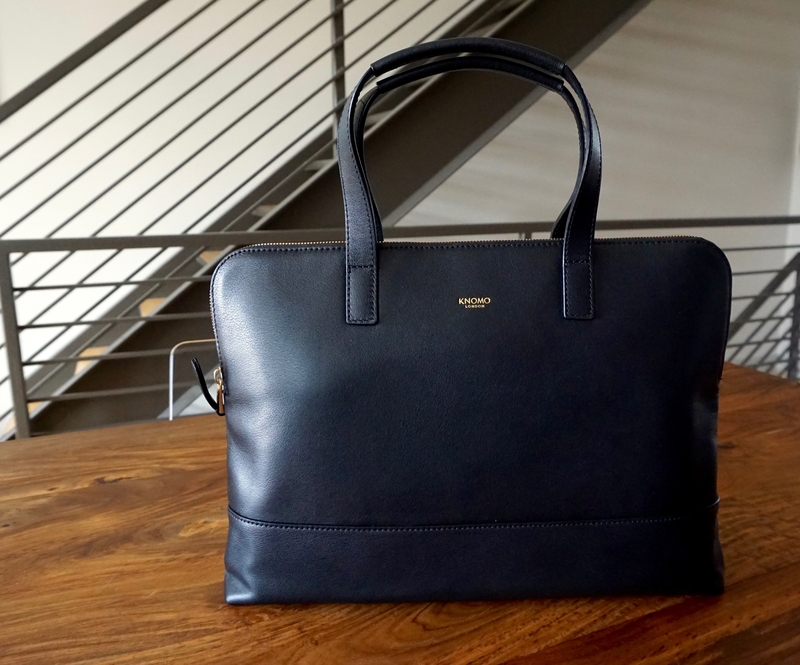 Unwilling to settle for a purely functional laptop bag, I consulted my friend Natasha of Style 911s; she could help me find the perfect laptop bag. Natasha is stylish and has impeccable taste, so I trusted her aesthetic. She confessed that it would be a difficult task because stylish laptop bags were definitely not easy to find, but she was up for the challenge. She asked me a few questions to understand my needs. It was a difficult search, but Natasha used all her resources to find a solution to my problem. She sent me a document with several choices in three categories, Affordable, Intermediate and Investment. 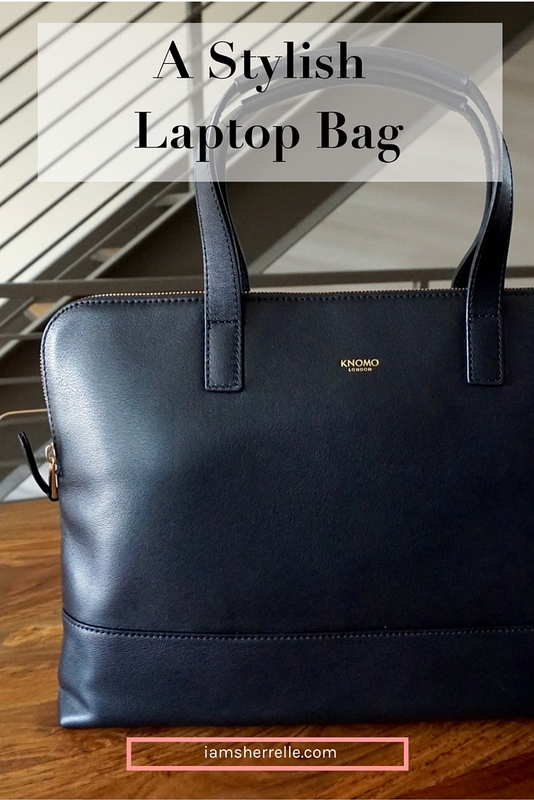 I obsessed and reviewed the choices until I finally narrowed it down to one laptop bag: Knomo Reeves Slim Brief. While it was a bit more than I had planned to spend, Knomo is a quality brand and this bag is classic; I will keep it forever. 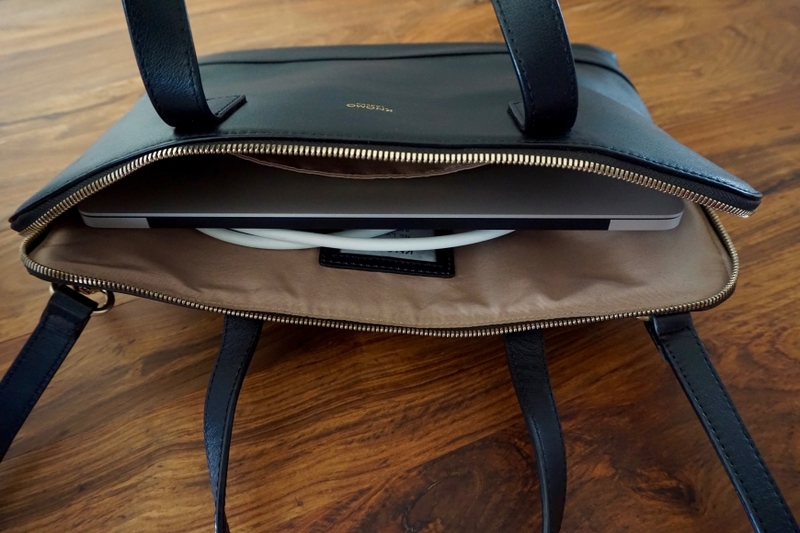 The leather is like butter and the size is perfect; it is small and sleek yet comfortably fits my Macbook Pro and plug. It even has a few pockets for pen, paper and cell phone. I love that it has both handles and a removable strap. And most important of all, it is a stylish. I feel pretty good when I carry this bag – professional, stylish and smart, ready to join the cool kids coffeeshop clique. Style 911s is a service that helps with quick style recommendations for people on the move. Think of it as your own mobile style concierge. At a loss for things to wear for a specific occasion? No luck finding that right something? Clueless where to start? Send your requests to info@style911s.com. P.S. You may also like these other posts on fashion and style.